I love Bridges. They kind of make you aware that you’re on your way to reaching a destination. There’s the beginning. There’s an ending, and there’s an in between. They are metaphors for so many things, and one of those is the journey that begins with the loss of a loved one. 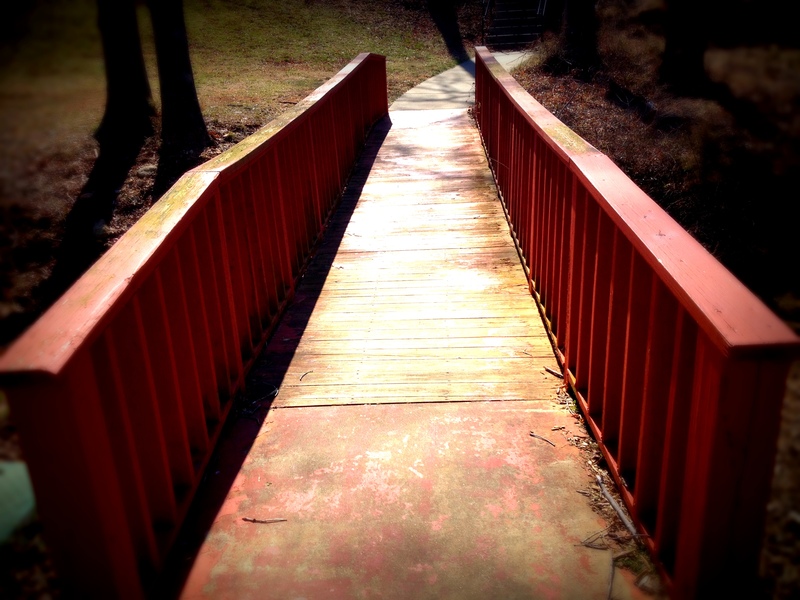 And that is what the following poem is about…with a bridge as the metaphor. He’ll carry you my friend. It’s been a year of so many losses, including loved ones and loved ones of loved ones. For those of you who have experienced loss, I just pray that you seek and feel and know the incredible Presence of God that lifts and carries us when we aren’t even aware of it. I love how He just fills gaps that we didn’t even know were there. And sometimes, He creates gaps where there’s a counterfeit “filler” of sorts so that space can be made for the real deal in our lives. May the Love of Christ comfort and fill you in amazing ways this year so that you may not only be blessed, but be a blessing for those who have burdens to bear and long journeys to face.Nothing is wasted when laid at His feet. Love that.